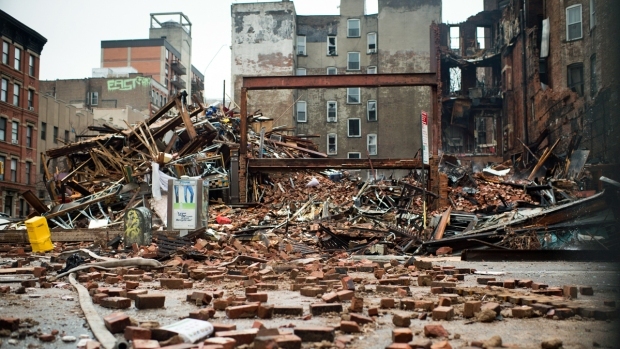 Officials have identified the remains of a second missing man in the East Village explosion last week as authorities continue to investigate whether the blast may have been caused by an attempt hide illegal gas siphoning, utility workers confirmed to NBC 4 New York Wednesday. The mayor's office said DNA analysis has confirmed Moises Ismael Locon Yac, a 26-year-old busboy, as the second body found at the site of the explosion. Yac's family has been notified, officials said. Also Wednesday, Con Edison said authorities are looking into the possibility that someone had dismantled or hidden a siphoning apparatus from the gas line in a Second Avenue building before utility workers arrived for an inspection, then attempted to restore it in the moments before the blast rattled the neighborhood and sparked a raging, seven-alarm fire that destroyed three buildings and heavily damaged a fourth. The public revelation comes several days after NBC 4 New York first reported source-based information that gas-line tampering was being eyed as a possible cause in the blast. Nicholas Figueroa, a 23-year-old bowling alley worker on a date in the ground-floor sushi restaurant that exploded, and Moises Lucon Yac were killed in the blast, which injured more than two dozen people. Inspectors from Con Ed visited the building about an hour before the March 26 explosion and determined work to upgrade gas service didn't pass inspection, locking the line to ensure it wouldn't be used and then leaving, officials said. The work underway was to put in a bigger line to serve the entire building, Con Ed President Craig Ivey said. Fifteen minutes later, the sushi restaurant's owner smelled gas and called the landlord, who called the general contractor, Chief of Detectives Robert Boyce said. No one called 911 or Con Ed. The contractor, Dilber Kukic, and the owner's son went into the basement and opened a door, and the subsequent explosion burning their faces, Boyce said. Kukic -- who's facing unrelated charges of bribing an undercover investigator posing as a housing inspector -- declined through his lawyer to comment on the circumstances surrounding the explosion. City records show Kukic got a permit last June for plumbing, flooring, removing partition walls and other work at the building. Con Edison had previously inspected the line in August, the utility said, and discovered the line had been illegally tapped. 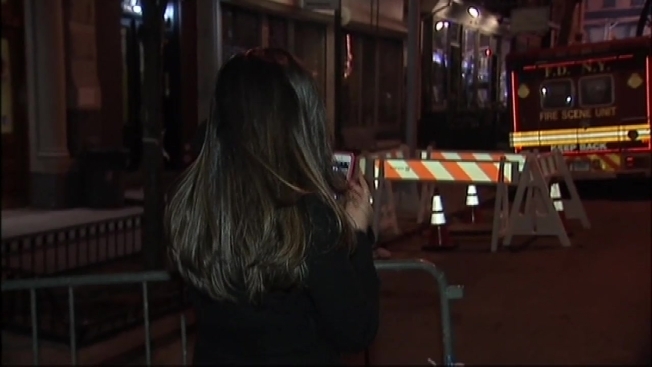 The discovery led Con Edison to shut down gas service to the building for about 10 days while the building owner made repairs. Gas service was restored after the utility deemed it safe, the utility said. The authority said that the building's owners may have been siphoning gas, which was intended for the sushi restaurant, for more than a year. Hundreds of people were forced out of their homes by the explosion; one couple told NBC 4 New York they returned from vacation to find they had lost everything, including their cat. De Blasio said most displaced residents had moved back in by Monday. Less than 50 units remained under vacate order, he said.